The sports betting industry is one filled with excitement, newcomers and development across all areas. After analyzing global powerhouses and bookmakers who have been around for ages, you might think that the betting world doesn’t have an open door for any up-and-coming stars. This couldn’t be further away from the truth, with lots of bookies appearing seemingly overnight, and gaining clients with a combination of great customer support, tech savviness, and excellent offers. One of the last bookmakers to join the race is NetBet, which will be the focus of today’s review. Currently, they have over 2 million customers worldwide and operate in a good number of countries and languages, without being a real global presence. The primary markets they target are in the UK, France and in Romania, where they even support a few football teams: Hamilton Academical Football Club, FC Saint-Etienne, and former Champions Cup winners Steaua Bucharest. So, if you’re a sports betting fan in the United Kingdom, NetBet is one of the bookmakers you should keep an eye on. They might not have the most clients, the flashiest website or years of experience in the area, but does that really matter to you in the end? Surely, the answer is no – you’re interested in their odds, their bonuses and their betting offers – the things that will take the relationship between you and your bookmaker to the next level. That being said, let’s start looking into what makes or breaks NetBet. Get Your £25 Free Bet Today! The first thing we notice about any bookmaker we review is their bonus for new customers. In this area, NetBet can’t boast with much: they offer a £25 matched free bet. This is quite impressive by any means, and is, in fact, one of the best welcome bonuses we’ve seen on the market so far. When looking at other bonus offers on their website, we have noticed some interesting ones, though. They offer an accumulator bonus, up to 50% for a 13-fold accumulator, a First Goalscorer Refund bonus up to 25 pounds, and a £10 free bet whenever you choose to download the mobile app. While it’s a good thing that these bonuses exist, we can’t say we’re impressed with their diversity or their quality. 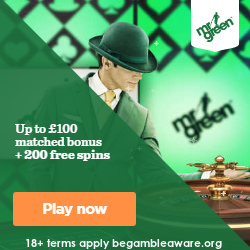 Get £10 Free Bet Today! Although not technically a bonus, one thing we want to bring to your attention is their “Cashout” feature. It works very simply: depending on the current score of the game, NetBet allows you to close your bet before the final whistle, with different odds than what you’ve initially selected. Say the team you back are 1-0 up in the 70th minute, but you’re actually watching the game and see that they won’t be able to keep that advantage for long. You can quickly log into NetBet either online or on your phone, and close the bet, win maybe ¾ of the initial winnings you were entitled to, and not feel stressed for the rest of the game. Although the statistics behind cashout systems don’t actually favor the bettors, the feature is certainly interesting and might be useful to some clients. Football betting. The holy grail for any UK customer. If a bookmaker doesn’t have a decent football betting selection or good odds, they might as well not even enter the UK market. Thankfully for them, NetBet have quite a good selection of football games to choose from. They offer everything from the most famous European leagues and competitions to very exotic ones, and we have to give them credit for the vast amounts of betting options available for these exotic leagues. They even offer special bets in leagues like Georgia and Latvia, which is not a thing most global brokers dare to do. Tennis betting. Not a lot can be said about the Tennis category that NetBet offers. You have your classic tennis matches from the biggest tournaments going on right now, but generally only those. They don’t feature lots of tennis games on their roster and don’t offer lots of options in these games. They clearly target tennis betting as a way to add another selection or two to other betting slips, but that shouldn’t bother us. After all, we’re mostly here for football betting. From the odds perspective, NetBet has always been in the middle of the pack. They do tend to favor away teams a little more than other brokers, but apart from that, we haven’t seen anything we can be too impressed or disappointed with. When using multiple odds comparison software online, we’ve always seen NetBet in the top 3 choices for any given sport even, which makes them reliable. For any given football game, however, their choice of bets isn’t very broad. You have all the bare essentials there and probably won’t feel the need for extra options in 90% of the games you analyze, but sometimes an extra special bet or two could be useful. Contrary to popular belief, the rest of their sports are actually pretty well-represented. From the traditional Basketball, Ice Hockey and Horse Racing to MMA, Surfing, and E-sports, NetBet have a good selection of bets and sports. They even have some special bets involving politics or international awards, some of which are very interesting, others borderline funny. For example, you can bet that Nicklas Bendtner or Caroline Wozniacki become the next Prime Minister of Denmark – odds 3001 or 4501 ))). That being said, we also have to mention a section where NetBet excels. This would be, without a doubt, the manner in which they handle live betting. Couple their decent amount of options with the cashout idea, and we can see why NetBet is often selected by bettors for live betting systems. The execution of these bets is absolutely great, and the simplicity of their website helps a lot. We’ve seen way too many overly-complicated live betting systems in the past to really enjoy them. Simple is better. Moving away from the betting section of their website, it’s time to see what NetBet have to offer from a casino perspective. This has clearly not been their own development, especially since they took over Casino777 in 2014. Their Casino section features a good selection of games you can use to entertain yourself, although it isn’t the most user-friendly one we’ve ever seen. Their Casino bonuses are the best ones available on the market: up to £200 welcome bonus for new players. If you’re looking for a place to gamble money and stay clear of betting, maybe you should look at other options – NetBet clearly just offer the Casino and Poker parts of the site for added fun, not as a standalone experience. Since NetBet is looking to gain customers as quickly as possible, persuading them away from traditional powerhouses like Bet365 or Unibet, they have to bring they A-game to the market. Thankfully, one of the best features of their business is their great customer support. They can easily be contacted via live chat, e-mail or phone number (+44 203 608 6024) and online reviews have stated again and again that their customer support staff is one of the friendliest and most competent in the market. Customer support is, without a doubt, one of the things that keep people close to NetBet. In conclusion, a NetBet account surely can’t hurt any UK betting enthusiast. It’s always good to have more options to place a bet and see how different bookmakers view each game. NetBet is surely one of the up-and-coming bookmakers in the world and our final verdict is this: you won’t go wrong with picking them as a bookie.